The BMW 3 Series has been around for more than three decades. And it has been a favorite not only among consumers but also among the motoring media all over the world. It is actually BMW’s bestselling vehicle since its introduction. At the same time it has won awards and honors in the automotive world. What makes the 3 Series so popular? Aside from the manufacturer’s commitment in creating “The Ultimate Driving Machine”, BMW makes sure that every generation of the series is beautiful, innovative, and most of all significantly more affordable than its competitors in the mid-price luxury sedan range. In some countries it even outsold some cheaper models in its class. The 2011 3 series, with chassis code E90, has been totally reengineered from its previous iteration (the E46), with changes to its engines, transmission, passenger compartment, suspension and plenty of high technology features and options. 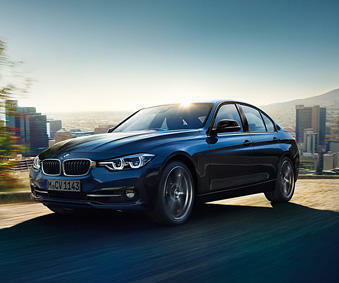 The 2011 BMW 328i Sedan looks even better and more muscular than its older brother. From its iconic rings around its quad headlights and the kidney grille to its bold yet sleek silhouette, this sedan is razor-sharp and athletic. This writer has not even begun mentioning the features of this wonderful car because the list can get very long and boring. But then again you have to know what you’re paying for when you’re thinking about buying one. So let’s give it a quick rundown. BMW is well-known for making high performance vehicles and the 328i Sedan was not overlooked. The engine features Double VANOS for the smoothest transition of the valve timing for both intake and exhaust cams. This translates to more torque and strong acceleration, quieter and smoother at idle. This model also features Active Steering, a technology that is speed-sensitive, meaning the car is quick- steering at low speeds for better maneuverability and slow-steering at high speeds for stability. This car is equipped with 6 Speed STEPTRONIC transmission, with three modes: Sport, Drive and Manual. This makes for more response and reduced fuel consumption. The engine features Valvetronic technology which allows the engine to breathe easier. Translation: more power and better fuel efficiency. And now to the numbers you’ve been waiting for: 3-liter, 6-cylinder engine producing 230 horsepower. The heart of this BMW is made of a lightweight combination of magnesium and aluminum. If you got dizzy from the technical jargon, let us take a swift overview of the in-car entertainment, with their layman’s translations: HD Radio technology = hi-fidelity FM stations, iPod/iPhone USB integrated system = play your favorite music with your favorite gadget, SIRIUS satellite radio = commercial-free radio, Logic7 audio system = seven-channel, 13-speaker sound system. The 328i Sedan also features BMW’s version of a keyless entry system called Comfort Access. Just put the remote in your pocket, touch the door handle, and the car unlocks automatically. You can start the engine by pressing the start button directly. When it comes to safety and security, the BMW 328i has the goods: run-flat tires, enhanced braking system, dynamic stability control, and back-up sensors. Just going over the features makes you realize that this BMW 328i Sedan is worth every penny you buy it for.